Last week, my partner had to find a good translation into Spanish for "wireless hot spot". A first search in the Microsoft language portal suggested "zona interactiva inalámbrica" (2 hits), while a search in the KudoZ glossaries gave "zona local de cobertura" (1 hit only), although, of course, we found plenty of results for "hot spot" and for "wireless" not combined in the same string. We turned to Google, searching for "hot spot" and "inalámbrico". Among the 9,640 hits we found "hot spot inalámbrico" and "punto de acceso inalámbrico hot spot" (besides many pages with "inalámbrico" and "hot spot", but not in the same string). This suggested "punto de acceso" as part of the solution. Now we searched for the exact string "hot spot inalámbrico", limiting the search to pages written in Spanish. This gave us 501 hits. "Hot spot inalámbrico" was a possible candidate, then, although not the best: it sounded too colloquial and it had far too few hits for such a widespread technology. We tried again, still restricting the search to pages written in Spanish. This time we searched for the exact string "punto de acceso inalámbrico". Result: 155,000 hits, an excellent candidate translation. For confirmation, we tried the translations suggested by Microsoft and by KudoZ, searching only pages in Spanish. "Zona interactiva inalámbrica" yielded 10 results in Google; "zona local de cobertura" only two hits, and both of them about cell phones, rather than wireless Internet hot spots. So we finally chose "punto de acceso inalámbrico". This search strategy gives excellent results and can easily be adapted to other languages and fields. 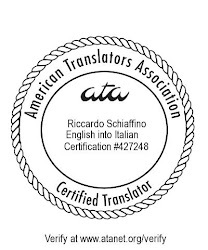 An experienced translator, however, should develop a feeling for the number of hits given by a candidate term. Too few hits mean that you are on the wrong track (especially if there is a large difference between the number of hits for the source string and for the candidate term). But "too few hits" is relative: 500 hits could have been a good candidate term for some less widespread technology. I have used variants of this strategy myself. Your example of using it to verify KudoZ translations was spot on. I find the KudoZ system incredibly educational, but the chosen translation is often best for the specific project that the asker was working on at the time. Interesting option. But I think for this specific issue the results are misleading. "Punto de acceso inalámbrico" has a lot of hits because is the translation for a very important product "Wireless Access Point" Even that I consider the translation for "Hot spot" as "Punto de acceso" as correct in my experience most of the documents keep "hotspot" as "hotspot". Sometimes translators need to push a little bit more and dare to translate this commonly used terms. BTW thank you for your posts, it keeps me updated on the things that are happening around the translation world. Great strategy -- thanks for passing along the Microsoft language portal; we weren't aware of it, and it's a fantastic resource. We use variations of your technique as well. Internet terminology is always a bit tricky, as things evolve quickly and there are lots of anglicisms, which one day might not be in the RAE only to appear in the newest edition as acceptable. Spurred by your comment, I've looked deeper into it, and saw what you mean: you are righ - "punto de acceso" tends to be reserved for the device, while "hotspot" for the place. However, I also found it used basically as a synonym, as in "Un Hotspot es un punto de acceso WIFI creado para el acceso público a Internet" (from WorldSpot.net), where "punto de acceso" does not appear to be used to indicate a device, but rather as a restatement of "hotspot" to define the English word. 1 - Find source language material that contains the source term; note down related, specialized source terminology for which established, standardized target terms exist. 2 – Identify target language material that contains the target terminology you noted down in step 1 -- with a bit of luck you should be able to find text where also the “new” target term occurs. The advantage of this approach is that the term is researched as part of a conceptual system, which makes it easier to verify if source terms (step 1) and target terms (step 2) apply to the same concepts in both languages and also if the “new” target term is consistent with existing terminology. A few additional details here (in Italian, I am afraid!). Thank you Riccardo for the comment. I share your opinion. But as the definition stands "hotspot" looks already quite incorporated into Spanish language even that as I mentioned I do prefer the translation as "Punto de acceso inalámbrico". And anyway I agree Google hits can be useful most of the times. Nice to keep in contact. And I thought I was the only one hooked on Google Search to help me confirm my terminology. I can't imagine translating off-line anymore. Not long ago I supported a term I used in a translation, as having it found in several google searces. The response from the other person was... "websites are written by ignorant people, and often are full of mistakes. Seriously, there are very reliable web sites of and others that are of abysmal quality. Good online (or offline) searchers need to be skilled enough to distinguish the wheat from the chaff. Riccardo, interesting as your point is, the translation suggested by the hits is not correct in Spanish from a technical point of view. It is misleading because a hotspot can have more than one access point and thus, could not be translated as "punto de acceso". [From Wikipedia: Un hotspot (en inglés ‘punto caliente’) es una zona de cobertura Wi-Fi, en el que un punto de acceso (access point) o varios proveen servicios de red a través de un Proveedor de Servicios de Internet Inalámbrico (WISP).] Also, just for the record, the term "acceso inalámbrico" is more general than just "Wi-Fi". There are other wireless technologies besides Wi-Fi, like for example Wi-Max. Summarizing, considering the hits in the Internet is a good approach but, you always need to verify the technical accuracy of the findings. I use the Google method as well, but it is a bit more difficult when you speak a "small" language (Norwegian in my case) as there may be only 5 hits for the correct term, especially when it comes to industries with a low web presence. I've become rather addicted to the internet when producing any piece of writing. Translating, of course & not to talk of writing, esp in a foreign language. I have the tendency to always double-check ... just to make sure. Very time-consumming, I know. But I'd rather invest my time in carrying out some research, instead of scribbling & producing a below-standard text. How embarrassing can this be for a translator! Anyway, my rule of the thumb when searching anything on google or any other search engine is this; I do consider the number of hits, but what's decisive is the reliability of the sites!!! Ever tried out googlefight? Just give it a shot. I bet you gonna love it too.